Albert A. 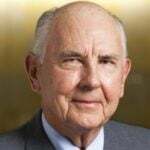 Grant, F.ASCE, P.E., Pres.88.ASCE, the 1988 American Society of Civil Engineers president and the former chair of the Engineers’ Forum on Sustainability of the American Association of Engineering Societies, died on April 2 at his home in Potomac, Maryland. He was 88. 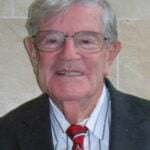 Grant earned a bachelor’s degree in civil engineering from the Catholic University of America in 1948, and remained involved with the University throughout his life. He was listed as a member of the Catholic University Civil Engineering Advisory Council until the time of his death. Grant served as chief bridge designer for the Washington, D.C., Department of Highways and Traffic, and then as director of transportation planning for the Metropolitan Washington Council of Governments. He first joined ASCE’s National Capital Section when he was attending Catholic University. In 1973, Grant became a member of the ASCE Board of Direction, and in 1980 he received ASCE’s Harland Bartholomew Award for contributions to the enhancement of the role of the civil engineer in urban planning and development. In the early 1980s, he chaired ASCE’s first strategic planning committee and authored ASCE’s first Strategic Plan – Issues and Challenges. In 1988, he assumed the ASCE presidency. In 2010, Grant received the ASCE President’s Medal for his distinguished service to the industry as a leading force in addressing the issue of sustainability in the United States, for chairing ASCE’s Committee on Sustainability for many years, and for providing outstanding leadership to AAES’ Engineers’ Forum on Sustainability. Additionally, Grant took an active role promoting ASCE’s Key Contact Program, which encourages members to apply their expertise to the formulation of public policy. He was the author of an ASCE civil engineering book, “Role of Civil Engineers in Shaping Public Policy” (January 1988, Vol. 114, No. 1). Grant and his wife Helene were supporters of the ASCE Foundation. Their philanthropy was a part of the campaign to relocate ASCE to the Washington, D.C., area as well as the Build the Future campaign to celebrate ASCE’s 150th Anniversary. The Grants have been steadfast supporters, making gifts to advance the profession every year for the last 15 years, placing them among the most loyal members of the Pacesetter Circle. Beautiful write-up for a beautiful man. He is a great loss to all who knew him.